Andy joined the club at the start of the 2011 season, he had statisticians looking through the history books as he went on to score 39 league goals and 9 cup goals in 47 appearances. Scored four in the demolition of Billingham Town at Heritage Park in January, he also notched up four hat-tricks, including two in consecutive rounds of the FA Vase. Andy has Conference North experience with Blyth Spartans, he first played under Colin Myers at Brandon United and then Jarrow Roofing. 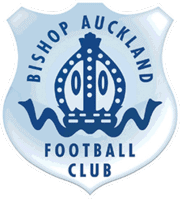 Since Andy joined Bishop Auckland FC in the summer of 2011 he made 106 appearances and scored 99 times! The 2012/13 season saw Andy crowned the Northern Leagues top goalscorer after hitting the back of the net 39 times. 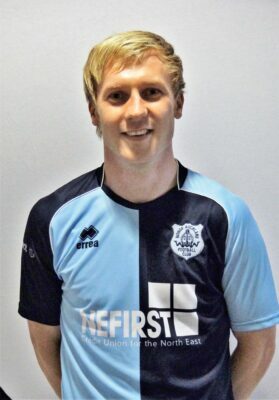 In June 2013, Andy left Bishop Auckland FC and joined Darlington 1883 where he scored 6 goals. In October 2013 he left the Quakers and joined Spennymoor Town for exactly one year. However on the 16th October 2014, Andy re-signed for the Two Blues.